In 1997, the Ohio Historic Preservation Office (OHPO) initiated a comprehensive program to transfer data from over 100,000 paper files into digital format while building a comprehensive Geographic Information System (GIS) program for implementing its use. The data automation program focused extensively on the Ohio Historic Inventory and Ohio Archaeological Inventory (OHI & OAI respectively), as well as development of a customized GIS application known as MAPIT. This effort was supported by grants from the Ohio Department of Transportation. Approximately 15,000 OHI forms were coded with grant assistance from the Gund Foundation in the mid-1980's. In 1997, the second and much larger phase of the OHI coding project was undertaken to examine, edit and enter data from paper forms into digital format. As a result of this project, a total of 81,078 forms were codified into electronic form. This represents a complete record of OHI received through calendar year 1997. Since March 1999, work has continued on OHI's received from 1998 to present date. With respect to the OAI, an initial attempt at digital coding occurred in 1985 during which approximately 17,000 records were entered into an electronic database, under a grant from the U.S. Army Corps of Engineers. In November of 1998, the second major effort to transfer the OAI into electronic format began in earnest. The goal of this project was to first check, edit, correct, and enter data from a backlog of over 7,500 forms that had accumulated and then 'clean-up' known issues with existing UTM coordinates and/or other spatial attribute data. 'Clean-up' of the data has taken a variety of forms and largely involves methodology designed to catch errors, typographic problems, inconsistencies, misplottings of sites, updating existing forms, adding continuation sheets, coding new entry forms, correcting the 7.5' topographic maps, transferring locational data from existing 15' quadrangles, and handling any other obvious errors in need of correction. UTM correction consists of comparing OAI form, map, description, narrative and coordinates against a USGS 7.5' quadrangle. If the information on the OAI is correct, that record is added to the database. If the centroid of the site is not consistent with the plotting and associated information, then a new point is created with the corrected coordinates and entered into the database. As a result of this project, approximately 14,000 of approximately 23,000 forms being examined to date have had their UTM coordinates corrected. Currently, there are 32,881 sites recorded in the electronic OAI database and approximately 1,600 new sites have been added each year. The MAPIT (Mapping and Preservation Inventory Tool) is a customized version of the popular ArcView GIS program developed by Environmental Systems Research Institute (ESRI). MAPIT was designed by the National Park Service Heritage Preservation Services Cultural Resources GIS Facility (CRGIS). The MAPIT program is designed to bring various cultural resources together into one comprehensive computer desktop environment and is specifically designed for use by the Ohio Historic Preservation Office (OHPO) and by researchers of Ohio's cultural resources, both public and private. By providing the capability to extensively examine all of Ohio's resources in a spatial context, it is hoped that decision-makers will be able to use these data to make informed decisions while planning for a multitude of activities across the State. One of the powerful features of the MAPIT program is the ability to customize the program to address a variety of inventories and research questions, and thus once new data are available, they can be easily added to the existing application and coverages. The ability to use MAPIT will be available on public terminals at the OHPO central office and, to a more restricted degree, via the Internet. While we are working to provide expedient and widespread access to the data as soon as possible, responsible stewardship of the data and technologies for protecting sensitive information are being developed specifically for this automation program. When the data are available, instructions for access will be provided at the OHPO website. Therefore, we strongly recommend going to the OHPO website (www.ohiohistory.org/resource/histpres/) which will provide all information about what data are available and in what format. Also, from the website, access will be available for the on-line versions of the National Register, OAI and OHI databases. The National Register database is scheduled to be on-line by March 2000; the OAI and OHI databases will go online thereafter. Again, any information about the availability of the on-line databases will be provided at the website. Ohio is one of the most important places for archaeology in North America. Ohio is often called the "birthplace" of American archaeology. Ohio's ancient mounds and earthworks are known throughout the world. Ohio's universities have some of the finest anthropology departments in America. And, over 1.5 million people visit Ohio's cultural sites and archaeological museums each year. Yet, despite this incredible wealth of archaeological sites, history, institutions and scholars, a comprehensive documentary has never been made about the magnificent American Indian cultures that flourished here for over 10,000 years. That's about to change. Voyageur Media Group, Inc. is pleased to announce the development of Ohio Archaeology, the first comprehensive documentary series about Ohio's ancient cultural heritage. Voyageur Media Group is a nonprofit organization dedicated to the production of documentaries about science, history and culture. Past works include Searching for the Great Hopewell Road and the Kentucky Archaeology series. Thanks to a planning grant from the George Gund Foundation, Voyageur has spent the past year conducting meetings and telephone interviews with dozens of archaeologists, scholars, educators and American Indian leaders. Tom Law, Project Director, Voyageur Media Group, says, "We gathered a wide range of ideas, comments and research in order to set project goals, draft script treatments and establish the structures needed to organize this incredibly complex, multi-disciplinary and multi-cultural subject." Here is a project summary. Ohio Archaeology combines interviews with archival images, landscapes, artist's renderings, and computer animation for a compelling look at how archaeologists interpret the past. The documentary series will be presented in (6) ten to thirty-minute episodes from "The Paleoindian Period" to the "Late Prehistoric Period." More episodes may be added about Ohio's archaeological history, contemporary issues and historic archaeology. 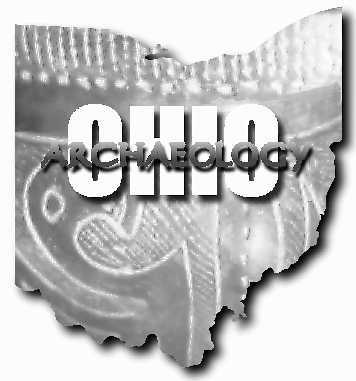 Ohio Archaeology is targeted for distribution to public television stations, schools, museums and libraries during Ohio's Bicentennial in 2003. The project also features a companion website with research papers, resource lists, images, maps and interactive curriculum materials for science, social studies and Ohio history (grades 4-12). These materials may also be turned into a Digital VideoDisk or CD-ROM. The advisory panel includes: Dr. William Dancey, President, Ohio Archaeological Council; Dr. Bradley Lepper, Curator of Archaeology, Ohio Historical Society; Dr. Linda Wilson-Mirarchi, Director of Education and Technical Services, Ohio Educational Telecommunications; and Dr. David Snyder, Archaeology Reviews Manager, State Historic Preservation Office. Voyageur will also seek reviews from Ohio archaeologists and representatives from federally recognized American Indian tribes with historic ties to Ohio. Tom Law, Project Director, says, "Ohio Archaeology demands close collaboration to reach four primary goals: 1) to generate a greater appreciation for Ohio's ancient American Indian heritage, 2) to build a better understanding of diverse peoples and cultures, 3) to encourage visits to museums and cultural sites, and 4) to enhance cognitive thinking skills by presenting the multi-disciplinary nature of archaeological investigations." Alva McGraw shared his deep interest in the archaeology of Ross County with generations of avocational and professional archaeologists, all of whom benefited from his knowledge, enthusiasm, and practical advice. He was instrumental in excavations of sites that spanned thousands of years of human history, from Station Prairie, the first historic settlement; back nearly two thousands years to a Hopewell site on his farm, now named for him in the archaeological literature; and back farther yet to eras known as Adena, Archaic, and Paleoindian. He was a member and supporter of the avocational Archaeological Society of Ohio and the professional Ohio Archaeological Council. He identified artifacts for new and more experienced surface collectors, and encouraged searching for "answers" that would enlighten us all. He encouraged and worked with new field techniques such as the Ken Goodman resistivity instruments that located features below the ground without digging. For more than forty years he knew and assisted crews from all the institutions that sponsored archaeological work and site preservation in Ross County including Case Institute of Technology (now Case Western Reserve University), Mound City National Monument (now part of Hopewell Culture National Historical Park), the Ohio Historical Society, Kent State University, Cleveland State University, Ohio State University, the Cleveland Museum of Natural History, the Ohio Department of Transportation, and the Archaeological Conservancy. Many share with me memories of a warm, personal friend who was always ready to fix broken equipment, discuss the mysterious ways water can travel in Paint Creek, give guided tours of sites even outside Ross County, and spend hours talking with the many visitors who sat around his kitchen table. His visitors were not only archaeologists, but people he dealt with in his long time public service for Ross County and his many personal friends. He is greatly missed by us all. At the OAC Annual Meeting in November 1999, Dr. William S. Dancey, as the newly elected president of the OAC, announced as one of his hopes for the coming year that the Education Committee of the OAC would look into establishing a state archaeology week for Ohio. Dr. David Bush was chair of this committee, and Sandy Yee had just been one of the new committee members elected. Therefore this challenge was passed to them. In January 2000, Mark Meister, newly hired Director of the Dayton Society of Natural History, and as such, supervisor to Sandy Yee, Site Anthropologist for SunWatch Indian Village/Archaeological Park, tasked Sandy to look into establishing a state archaeology week for Ohio, based on examples from SAA and elsewhere. Finally, William Patterson, Sr. of Patterson Graphics and William Pflaum of Mazer Corp., both of Dayton, in discussion with Mark Meister, offered their companies' talents to design and print posters for an archaeology week, if so desired. Therefore, the stage was set, and Sandy began dialog with Dr. Dancey, requesting information and direction on how the OAC wished to proceed, as well as submitting request for grant from OAC Grants committee to help with funding of such a task. OAC Board voted to make a direct contribution of $1000 to the Dayton Society of Natural History for Sandy and SunWatch to cover some of the costs of preparing the first ever "Ohio Archaeology Week." The Society and OAC partnered in this endeavor, with Sandy Yee and Dr. Bush as the coordinators. They designed the letters and applications that were mailed to all of OAC members, as well as oversaw the design and production of the posters and flyers distributed statewide advertising the events. The week of June that included the Summer Solstice (in 2000 this fell on June 19-25) was chosen for Ohio's archaeology week. It was thought that the Summer Solstice will provide a memorable link for state archaeologists and historians in all upcoming years (as the Summer Solstice was recognized historically as well as prehistorically). Additionally, this week is very favorable to families on vacation, for schools are out by then. Furthermore, various sites have opened their summer field work/schools and can incorporate tours or workshops at the sites as one of their Ohio Archaeology Week educational activities for the public. Although letters requesting collaboration, support, partnering, etc. were sent to OHPO, OHS, and Governor Taft in February 2000, due to the short time frame the named organizations could not join the effort. However, if approached much earlier (very early fall 2000) for the Ohio Archaeology Week of 2001, they may be able to partner, thus lending more resources to the effort. Posters and brochures listing statewide activities were ready (albeit later than desired) and shipped in early June to all participants who had contributed activities, as well as to all Contact People, and requesting organizations or individuals. The poster was a beautiful depiction of the state of Ohio as an excavated feature/square with inset photos and text highlighting the sites and events offered during week. Sandy sent request to presenters and Contact People for all and any Evaluations they received or prepared, so that evaluation and improvement of the program could begin for next year. Contributing Organizations: Ohio Archaeological Council, Dayton Society of Natural History (through SunWatch), Patterson Graphics, Mazer Corp., and C&O Printing. You can access legislative information or contact any member of Congress at http://thomas.loc.gov. You can also reach any member of Congress by calling the Capitol at (202) 224-3121 or 1-800-962-3524; by writing your Representative at the U.S. House of Representatives, Washington DC 20515, or your Senators at the U.S. Senate, Washington DC 20510; or electronically through either www.house.gov or www.senate.gov. In response to the federal lawsuit by the National Mining Association challenging the Advisory Council on Historic Preservation's (ACHP) current Section 106 regulations [see March 2000 OAC Newsletter Vol. 12(1)], on July 11 the ACHP published its current Section 106 regulations in the Federal Register as proposed regulations open to public comment. The current Section106 regulations went into effect on June 19, 1999 and remain in effect. It is anticipated that the new final regulations will be submitted to the ACHP for a vote on adoption on November 17, 2000. Comments on the current Section 106 regulations were to be submitted on or before August 10, 2000, addressed to the Executive Director, ACHP, 1100 Pennsylvania Ave., NW, Suite 809, Washington D.C. 2004, or by fax to (202) 606-8672, or by email to . The public comment notice and the current Section 106 regulations can be found in the Federal Register at www.access.gpo/su_docs/aces/aces140.html. HR 701 amends the Land and Water Conservation Fund Act. It will permanently fund many natural and a few cultural resource programs, the Historic Preservation Fund (HPF) in particular. The funds come from Outer Continental Shelf oil and gas leases, estimated at $4-5 billion annually. The HPF funds much of the operations of State Historic Preservation Offices, particularly in Ohio. Much of the money will make its way to states for natural and cultural resource programs, including programs that benefit archaeology. Ohio is scheduled to receive one of the largest sums, about $54 million a year. That amounts to over $800 million over the 15 years the law will be in effect. Over 4,000 organizations and all 54 governors support the bill. The U. S. House of Representatives passed HR 701 on May 11, 2000. The vote was 315 to 102, with 118 Republicans, 196 Democrats, and 1 Independent voting for the bill, showing strong bipartisan support for the measure. Ninety-three Republicans, 8 Democrats, and 1 Independent voted against the bill. All of Ohio's Democratic Representatives and 6 of 11 Republican Representatives voted for the bill. The Senate Energy and Natural Resources Committee voted 13 to 7 in favor of the bill, but its chance for passage by the full Senate is less certain. There is strong opposition from a number of Senators from western states, and the end of the 106th Congress is fast approaching. Ohio Senator DeWine supports the bill while Senator Voinovich does not. If Ohio's $400 million Conservation and Revitalization Fund is approved by Ohioans on November 7, 2000 (see State Issue 1 below), Ohio will be well positioned to take advantage of the federal funds from the Conservation and Reinvestment Act, assuming it is approved by the Senate, a House-Senate Conference Committee, and signed by the President. Please contact Ohio Senators Voinovich and DeWine, or your state Senators, as soon as you can about the bill. Among other things, HR 834 extends the authorization of the HPF and the ACHP through fiscal year 2005 (September 30, 2006), and reinstates the annual transfer of $150 million into the HPF. President Clinton signed the bill into law on May 26, 2000. HR 2643 would provide for the appropriate study and repatriation of human remains for which a cultural affiliation is not readily ascertainable by repealing the ownership provisions of NAGPRA based on aboriginal land claims. Until several issues concerning the Kennewick Man litigation are settled, this bill is unlikely to move. The bill's sponsor is Rep. Hastings (R-WA). Upon introduction it was referred to the House Committee on Resources. Please contact you Representative about this bill. On April 27, Senator Daniel Akaka (D-HI), for himself and Senator Bob Graham (D-FL), introduced legislation authorizing the National Park Service (NPS) to conduct a theme study to identify, interpret, and preserve sites relating to the migration, immigration, and settling of America. S. 2478, The Peopling of America Theme Study Act, builds upon the latest official thematic framework authorized in 1996 (PL 101-628, Sec. 1209), and seeks to encourage the nomination of properties for listing in the National Register of Historic Places, the identification of potential new National Historic Landmarks, and the recommendation to Congress of sites for potential inclusion in the National Park System. In introducing this legislation Senator Akaka noted: "All Americans were originally travelers from other lands. Whether we came to this country as native peoples, English colonists or African slaves, or as Mexican ranchers, or Chinese merchants, the process by which our nation was peopled transformed us from strangers from different shores into neighbors unified in our inimitable diversity -- Americans all." Senator Akaka stressed that it is essential for all Americans to understand this process. The legislation recognizes that only one NPS unit focuses on the peopling of America, Ellis Island, a part of the Statue of Liberty National Monument. Senator Akaka hopes that the study will serve as a springboard for the preservation and interpretation of several significant properties. The legislation calls on the NPS to establish linkages with "organizations, societies and cultures" and to enter into a cooperative agreement with educational institutions, professional or local historical organizations, or other entities to prepare the theme study in accordance with generally accepted scholarly standards. Please contact Senators DeWine and Voinovich, or your state's Senators, about S. 2478. You can view and print copies of Ohio laws, bills, bill summaries, and status reports of bills at www.legislature.state.oh.us.You can reach your Representative or Senator by calling the Legislative Information Office at 1-800-282-0253; by writing your Representative at the Ohio House of Representatives, 77 South High St., Columbus, OH 43266-0603, or your Senator at the Ohio Senate, Senate Building, Columbus, OH 43215. Some members of the General Assembly have email address that are linked through the website. On November 7, Ohio voters will decide whether or not to approve a $400 million environmental protection bond issue (see H. J. R. 15, May 19 Legislative Issues Committee Report). The fund was proposed by Gov. Taft and nearly unanimously approved by the Ohio General Assembly earlier this year. The fund will initially provide $400 million over the next four years, with continuing investments as older bonds are retired or as community loans are repaid. From the initial investment, $200 million would be used to clean up brownfields (land that cannot be developed because it is contaminated with industrial wastes, but the site is not a federal Superfund site) and other, as yet unspecified, urban revitalization efforts. $200 million would also be used to preserve green space, farmland, streams, and expand recreational trails. If Ohio voters pass the issue on November 7, the Ohio General Assembly will need to pass legislation detailing how the funds will be allocated, who would be eligible for funding, etc. Gov. Taft has indicated that local communities should decide on how and where the funds are to be used, based on local needs and priorities. The Governor has stated that city, township, and county governments, conservation districts, park boards, and some private sector entities should be able to apply for funds administered as grants and low-interest loans. The grants are to be matched by local dollars. The amount to be matched will be determined by the Ohio General Assembly. Funds from the program and matching funds can be used to leverage other dollars for environmental programs, particularly at the federal level. The proposed fund is similar to the NatureWorks bond issue passed by Ohio voters in 1993, a program that continues to provide funds for repairing and enhancing primarily State-owned parks, forests and nature preserves. A relatively small portion of NatureWorks funds goes to local communities. The Conservation and Revitalization Fund is directed at local projects for environmental protection. The fund does not increase taxes. Funds would come from the sale of bonds, which would be repaid over time with existing State revenues through a mix of general revenues and liquor-profit tax revenues. By law, funds cannot be granted or loaned to parties responsible for the contamination of a site determined to be a brownfield. Whether or not Conservation and Revitalization Fund projects will be required to take into consideration their impacts on archaeological resources remains to be decided by the Ohio General Assembly and the state agencies that will implement the program, the Ohio Department of Natural Resources (ODNR), Ohio Environmental Protection Agency, Ohio Department of Agriculture, and the Ohio Department of Development, the latter of which recently funded an archaeology review position at the Ohio Historic Preservation Office (OHPO). Presently, NatureWorks projects are reviewed by the OHPO. OHPO indicates that since review of NatureWorks projects began in 1994, 3-4% of OHPO's total workload consists of NatureWorks project reviews. This figure represents about 200-250 projects/year (ca. 1,200-1,500 projects). Archaeological investigations were recommended on 150 of the projects (ca. 10-13%), and OHPO reviewed 62 archaeological reports (40% of the 150 projects for which archaeological investigations were recommended). The number of archaeological sites found as a result of recommended surveys was low, less than 50, and only one archaeological site was determined to meet the National Register Criteria for Evaluation (Dave Snyder, personal communication 2000). Although the number of significant archaeological sites found as a result of OHPO's review of NatureWorks grants is apparently low, OHPO indicates that the effort has been worthwhile, particularly in raising the awareness of ODNR and NatureWorks applicants that archaeological resources exist and should be considered in project planning. The Ohio Archaeological Council will work to see that a similar review is undertaken for projects under the new program, if passed by Ohio voters on November 7. This bill increases the penalty for desecrating a place of worship or any other object of reverence or sacred devotion from a misdemeanor to a felony. The bill also increases from $5,000 to $15,000 the amount of damages a person may recover from the parent of a minor child as a result of a child's vandalism or desecration. The intent of the bill is to protect churches and cemeteries, but could be interpreted by the courts to include traditional cultural properties and sacred places such as prehistoric mounds, earthworks, and cemeteries. The Senate version of the bill was passed the General Assembly and Gov. Taft signed the bill on June 17, 1999. The bill became effective September 20, 1999. The bill creates the Commission, whose tasks include developing a public-private partnership to research, document, mark, and preserve Ohio sites associated with the Underground Railroad. The bill was introduced March 24, 1999 and assigned to the Education Committee. No action has been taken on the bill. This bill requires that excavators, including archaeologists, notify the one-call system of the location of an excavation site and the intent to excavate at least 48 hours but not more than 10 days before commencing an excavation. Any excavator who knowingly fails to notify the one-call system is subject to a civil penalty of up to $10,000 for each violation, and fines up to three times the amount of reasonable costs of repairs to damaged underground utilities (see May 19 Legislative Issues Committee Report). The House bill was introduced June 17, 1999 and assigned to the Local Government Committee. The Senate bill was introduced on October 12, 1999 and assigned to the Ways and Means Committee. No action has been taken on either of the bills. The bill allows taxpayers to claim corporation franchise and personal income tax credits for 25%, not to exceed $50,000, of the qualifying expenditure incurred to rehabilitate a historic property. The bill was introduced September 30, 1999 and assigned to the Ways and Means Committee. No action has been taken on the bill. The bill was introduced on January 18, 2000 on behalf of the Archaeological Society of Ohio (ASO). It was assigned to the Criminal Justice Committee [see March 2000 OAC Newsletter Vol. 12(1)]. Proponent (ASO) testimony was heard on May 16 (see May 19 Legislative Issues Committee Report). No further action has been taken. This bill merges ODNRs Division of Oil and Gas with the Division of Mines and Reclamation forming the Division of Mineral Resources Management. This is now the division that regulates mining's impact on cultural resources. The bill passed the General Assembly and was signed into law by Gov. Taft on June 14. The bill was introduced on May 2, 2000 and assigned to the Education Committee. No action has been taken. The bill revises and adds requirements to the permit application process for aggregate (non-coal) industrial minerals mining. The application requirements do not address archaeological resources (see May 19 Legislative Issues Committee Report). The bill was introduced in the House on May 11, 2000 and assigned to the Agriculture and Natural Resources Committee. No action has been taken. The bill was introduced in the Senate on March 28, 2000 and assigned to the Energy and Natural Resources Committee. No action has been taken. Since the spring members meeting, your President and members of the Board have been busy with Council business. Probably the most important event of the summer was the completion of Bob Genheimer's book containing the proceedings of our 1994 conference on the Late Prehistoric. Entitled Cultures Before Contact: The Late Prehistory of Ohio and Surrounding Regions, it contains 13 chapters including regional overviews, reports on site investigations, and a commentary on the state of the art in the study of the archaeology of this period. Much of the data in this book has not been published previously. Thus, as with the first two volumes in this publication series, we have accomplished our goal of making archaeological knowledge of Ohio prehistory more widely available. Additionally, it is an attractive, durable book that will hold its form even with repeated use. Thanks to Bob for sticking with this project and making it a first rate product. Equally important is the successful completion of the first Ohio Archaeology Week. This was the product of cooperation between the Council and Sunwatch Indian Village. Among the organizations who participated were The Cleveland Museum of Natural History, the Marietta Natural History Society, Fort Ancient State Memorial, Hopewell Culture National Historical Park, Sunwatch Indian Village/Archaeological Park, Boonshoft Museum of Discovery, Heidelberg College, and the University of Toledo Laboratory of Archaeology. Plans are under way to repeat this event next year and to increase participation and support. Thanks to Sandy Yee for spearheading the project and to Dave Bush for serving as the Council liaison. On another front, Al Tonetti and I attended a series of meetings beginning in mid-August concerning the Moundbuilders Country Club's proposal to demolish its existing clubhouse and build a new facility. In addition to writing the Director of the Ohio Historical Society to express our concerns about the potential destruction of archaeological remains as a result of the rebuilding, a nomination of the Octagon State Memorial to the National Trust for Historic Preservation's list of the "Eleven Most Endangered Historic Places" in the United States was submitted on behalf of the Council. Initiated by a group of concerned educators in the Newark area, the weekly meetings came to include American Indians, members of the Licking County Archaeological and Landmarks Society, and local citizens, along with representatives of the Club, the National Park Service, the Ohio Historical Society, and the State Historical Preservation Office. Amos Loveday, the State Preservation Officer, assigned several members of his staff to facilitate the drafting of a Memorandum of Understanding in an attempt to reach a consensus regarding the conduct of an archaeological survey on the targeted property, formulation of a policy on public access, and long-term plans for preservation. The process is ongoing. Thanks to Al for agreeing to get involved and lend his considerable knowledge of public archaeology to the issue. Other accomplishments include the formulation of an amendment to the by-laws to streamline membership nomination approval, a hard look at the reality of constructing a high quality web site, monitoring of hearings on proposed industrial minerals legislation, and input into the planning process for Voyageur Media Group's Ohio Archaeology Video Series. I should not forget to include President-Elect Brian Redmond's suggestion to invite members to prepare short presentations on recent fieldwork at the fall meeting. This suggestion was unanimously embraced by the Board as a way for members to become more aware of what's going on around the state. Members have been notified of the membership amendment and will be asked to discuss and vote on it at the fall meeting. The Board and I believe it is a positive step toward increasing membership and urge serious consideration of its provisions. In order not to over-extend my contribution to this issue of the Newsletter, I will end on this note. I hope I have said enough to make everyone want to attend the fall meeting to hear more about the above matters, as well as become better informed about recent archaeological activities around the state.